KISSIMMEE, Fla., July 5, 6:15 p.m. – For the second day in a row, Kissimmee residents set a new record for electricity usage. 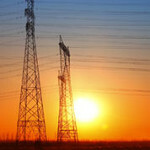 A new system peak of 311.8 megawatts (MW) was set at 4:46 p.m. on Tuesday with an outside temperature of 97 degrees. Monday’s record peak was 300.7 MW, breaking the previous record of 298.7 MW set on July 6, 2004. * Set the thermostat at 80 degrees or warmer with the fan switch on “auto.” For additional savings, raise the thermostat to 82 degrees or warmer when away from home. Raising the temperature just two degrees can reduce cooling costs by as much as five percent. * Keep bright sunlight out. Close blinds, drapes and shades during the hottest time of day to block the sun’s heat. * Set pool pumps and automatic sprinklers to run in off-peak hours.